Cpl. Clayton M. Landes, son of O. S. Landes, graduated from Devol High School and Central State College; husband of the former Texanna Wooldridge. Entered Air Corps in Nov., 1942, trained in San Angelio, Randolph Field, Texas and Camp Pinedale, Cal. 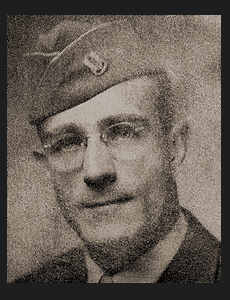 ; was discharged in Oct., 1945. Awarded Good Conduct Medal.